Worcestershire Animal Rescue Shelter receive no financial help from the Government, Lottery Funding or the local council. We rely purely on donations and the generosity of our supporters. We could not continue the work we do without financial help from the public. Every penny we receive goes towards the care of the animals, running the shelter and improving our facilities. Which is why every single donation is vital and we welcome donations of all sizes. There are a few ways in which you can donate towards WARS and the work that we do. This money goes straight to us and, if you are a UK tax payer you can add on Gift Aid which will give us a extra 25p for every pound you kindly donate. Donate via our JustGiving page here. You can now donate to WARS via a text message. It is so simple and easy and, again, you can add on Gift Aid. Simply text WARS42 followed by the amount (£1 - £100) to 70070. Every donation counts, no matter how small. Why not make a donation on behalf of a friend or a family member. Are you having a party to celebrate a birthday, a anniversary or another special occasion? Why not contact us for a collection tin to have at your party and you and your guests can help out a good cause whilst you celebrate. On receiving collection boxes we will send you a certificate thanking you for your help and letting you know how much you have raised. Do you have lots of loose change around your house which you never get round to spending? We now have WARS change boxes. Small cardboard boxes which you can keep in you kitchen, dining room, on shelf in your house. Pop in your loose change when you have it and when it is full return it to us. We will count up the contents, send you a certificate thanking you for your help and let you know how much you have raised, along with a brand new box. If you wish to donate to the shelter feel free to pop in and speak to our staff or our receptionists, or you can simply send a cheque in the post. 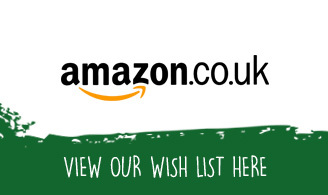 If you do not wish to donate money, we run a Amazon Wish List. On here you will find various items we need for our dogs, cats and for our staff to help with the running of the shelter. You will notice a link to this list on most pages, so if you feel you would like to donate via Amazon follow the link on the right side of this page. Donations don’t just come in monitory form. You can also donate your time to WARS. If you wish to volunteer please go to our volunteer page for more info.